On August 5th, Discotek Media announced via their Facebook page that they’ve acquired the license to the 1994 animated feature film Fatal Fury: The Motion Picture. 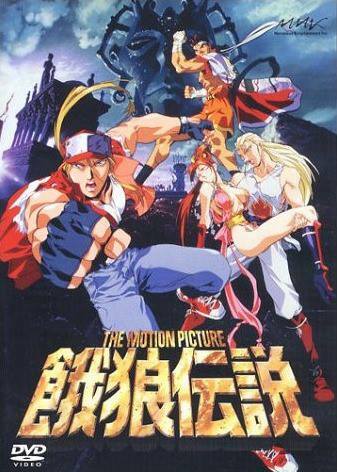 Based on the SNK fighting game franchise of the same name, the film stars series protagonist Terry Bogard, his brother Andy, and their friend Joe Higashi. They must work together to stop a megalomaniac from acquiring the Armor of Mars. The film was previously released on VHS and DVD in North America by VIZ Media and saw airtime on the Sci-Fi Channel (now SyFy). Discotek is making an effort to produce a new 16:9 anamorphic widescreen print of the film from the original negative. The acquisition of Fatal Fury: The Motion Picture marks the latest in a long line of anime licenses that Discotek Media has pulled out of limbo, many of which we’ve profiled in our Anime of the Past columns. Other upcoming releases the publisher has secured range from 1999’s Jin-Roh: The Wolf Brigade and the 1987 OVA production Lily C.A.T. to the more recent comedic television series Thermae Romae. A release date for Fatal Fury: The Motion Picture has yet to be announced.